This super easy party favorite is perfect for any occasion. It’s also a handy no-fuss dish to make ahead of time, store in the refrigerator and put in the oven when people arrive. Preheat oven to 375 degrees. 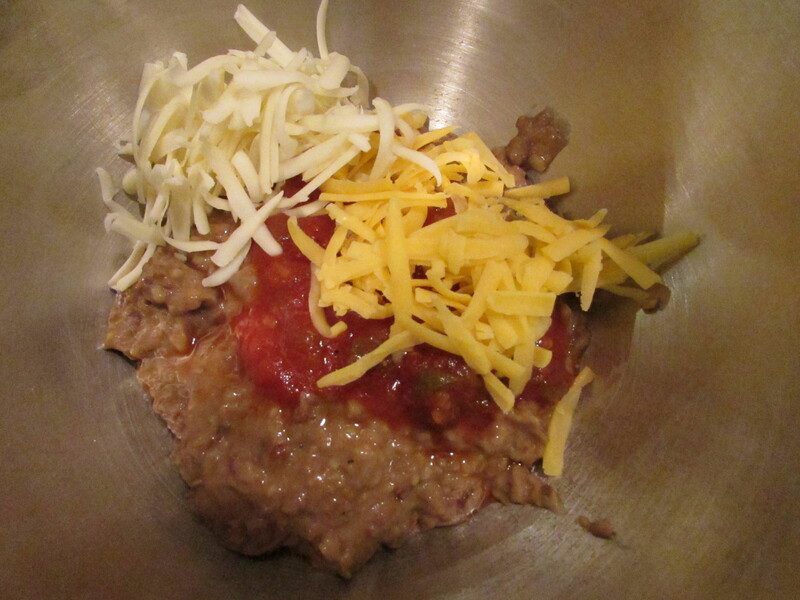 Mix together refried beans, salsa and 1/2 cup of the cheese. 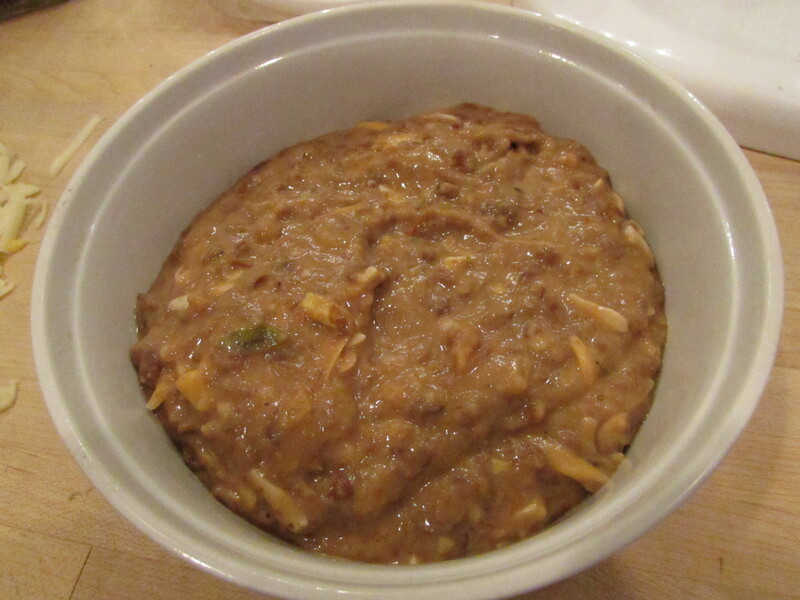 Once fully incorporated, spread dip into an 8 inch oven safe dish. 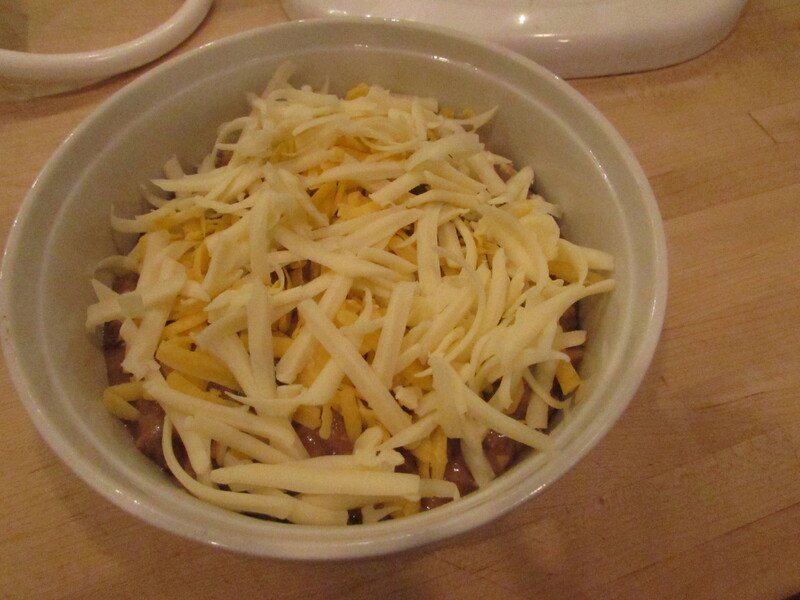 Top with remaining cheese. 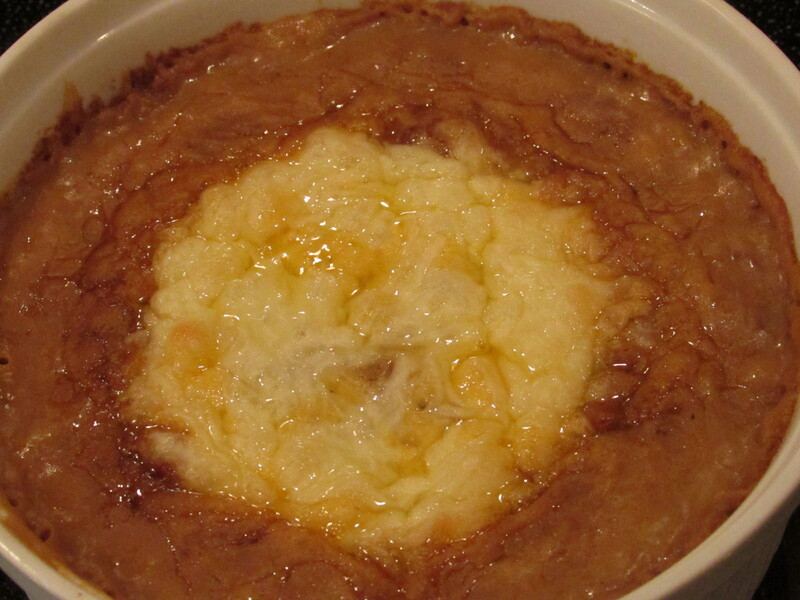 Cook for around 25 minuted or until cheese is melted and edges start to bubble. Serve hot with chips. Looking for that something extra to impress your guests? 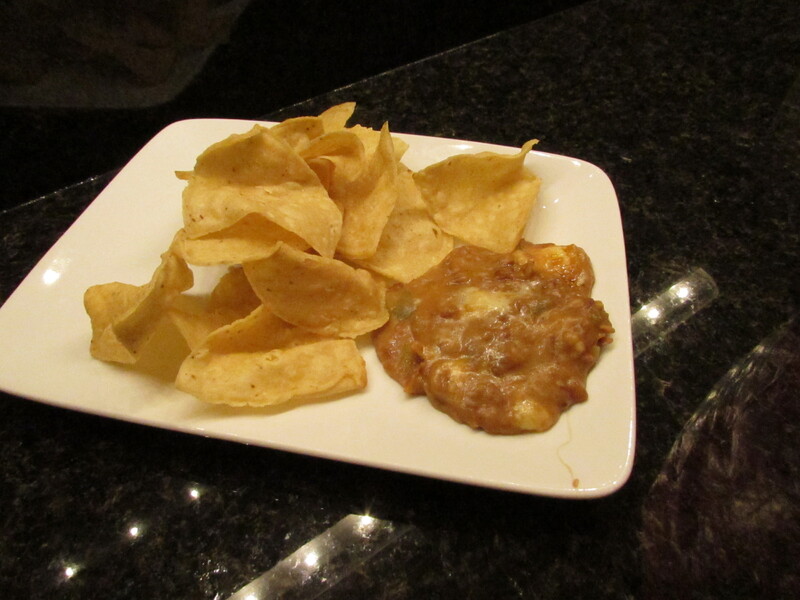 When bean dip comes out of the oven, place chips on a cookie sheet and heat them up in the oven for a few minutes. Hot dip plus hot chips! Tags: easy bean dip, food, game day appetizer, game day favorite, hot bean dip, make ahead appetizer, refried bean appetizer, with images. Bookmark the permalink.